We have so many fantastic cultures and languages at Kingsbury High School and we are lucky to have a window into deaf culture and be able to see and learn sign language. 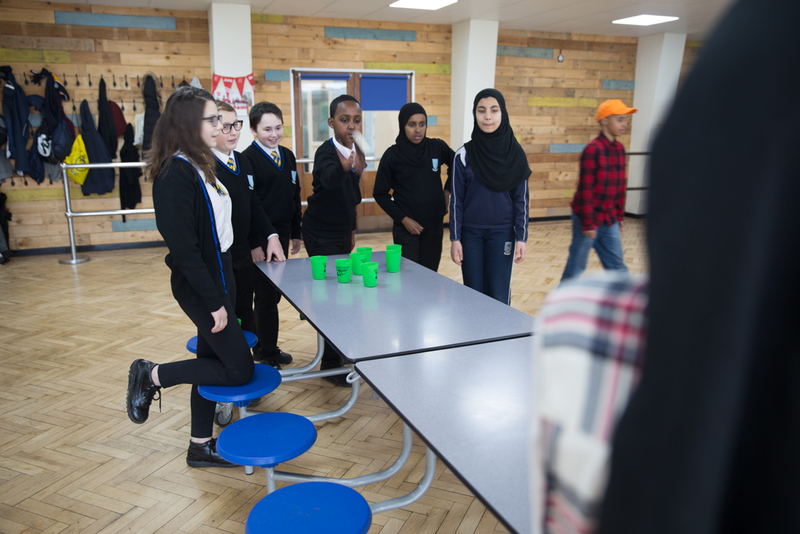 KHS is the only secondary school in Brent to have a Total Communication Resource (TCR) to support deaf students. 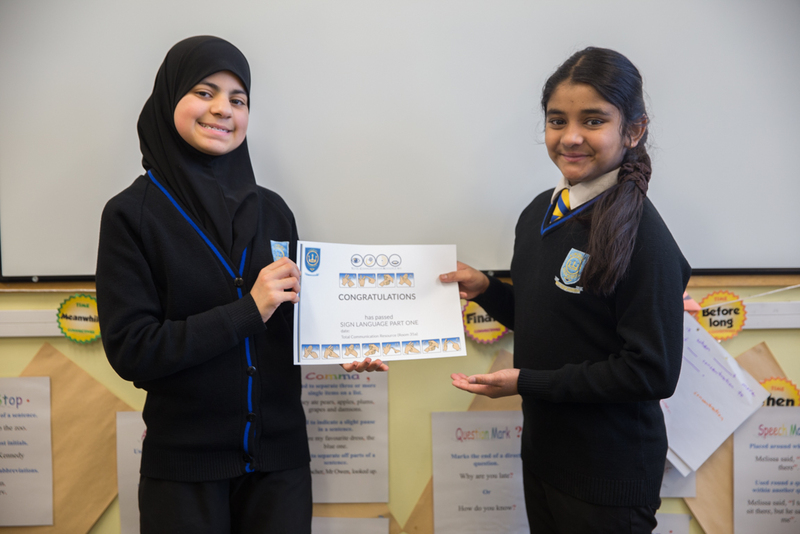 Sarah and Spartakus in Year 7, Max in Year 8 and Yesha in Year 9 are part of the TCR and worked hard to teach and then test sign language during form times and lunch time clubs. 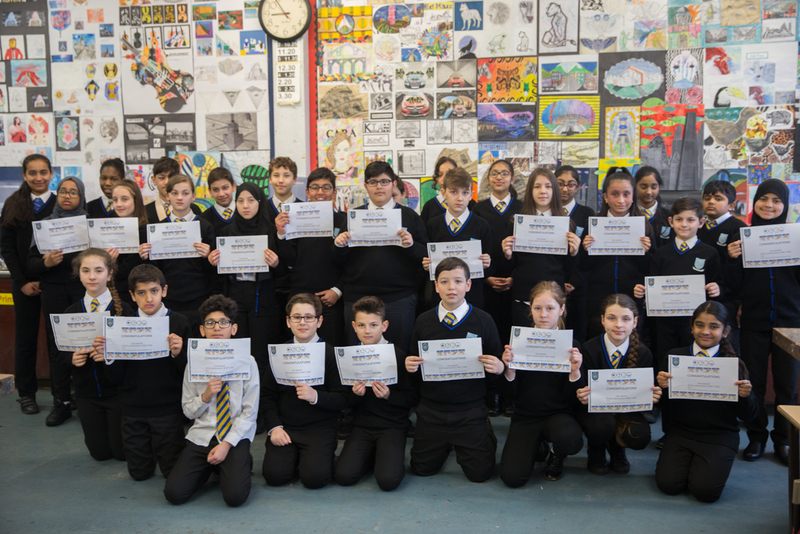 62 students in Years 7,8 and 9 took the opportunity to begin to learn British Sign Language this year. They have all passed Part One of the KHS Sign Language course and have all received certificates. As part of the Excel day, Year 8 students took part in the BHF All Star Games. Three main sporting events ran throughout the day; dodge ball, skipping and ping pong cup challenge. Well done to all the students who took part, despite the freezing conditions outside! Special thanks and well done to all the Year 10 students who ran the events! If you are interested in running a fundraising event at the school, or would like to help volunteer at any of the up and coming fundraising events, please speak to a member of faculty or to Tara Randall. All school fundraising ideas welcome! 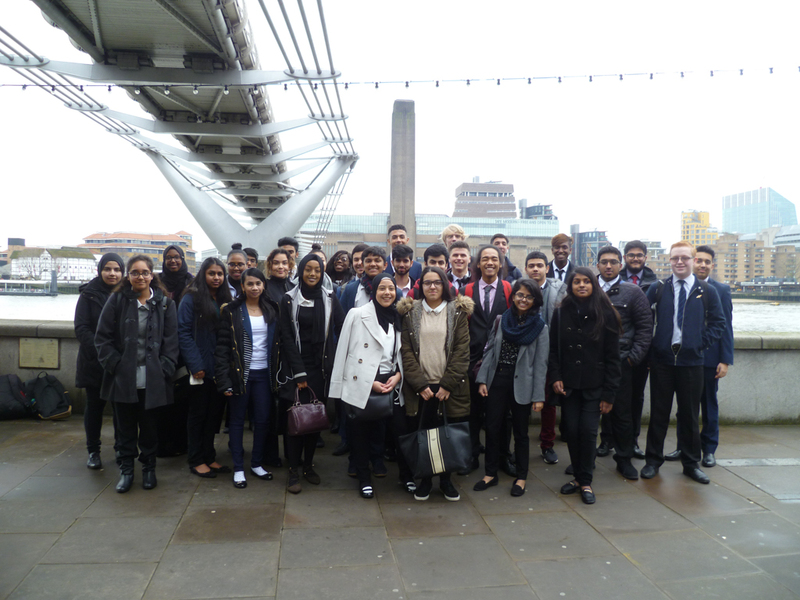 In one of the highlights of the Spring calendar for the Sixth Form, 31 students travelled to City of London School, by the Millennium Bridge on the side of the Thames, to participate in the school’s annual Model United Nations conference as delegates for the countries of USA, DPRK, Italy, Yemen, Cote d’Ivoire, Peru, Indonesia and Rwanda. The conference had six committees, discussing world issues relating to disarmament and international security, politics, human rights, environment, economic and social policy, and the Security Council’s focus was on the question of the civil war in Yemen. Each committee had as its main objective the passing of a resolution to tackle the issues in question, which would be agreed by the majority of countries. In the opening ceremony, all delegates (approximately 120 students) received a warm welcome and a brief lecture on the history and importance of the United Nations by Associate Professor in International Relations and European Politics at LSE, Dr Spyros Economides. *Students with clauses passed by their committees included Haider Nazerali (Year 13, Security Council), Parth Kataria (Year 13, EcoSoc), Abeena Devanand (Year 12, Environment), Sahas Warna (Year 12, Disarmament and International Security), Avnish Patel (Year 12, Human Rights, voted “best clause submitted in committee”), and Zara Ahmed (Year 12, Disarmament and International Security). *Students who were frequently on their feet, asking questions and speaking for and against clauses, included Akira Allman, Zainab Jalali (Year 12) and Siham Sahal (Year 12) in the Human Rights Committee; Ben Sparke (Year 12) in the Disarmament and International Security Committee; Nauman Zahid (Year 13), Greta Nuzi (Year 12) and Don Jayasekera (Year 12) in the Politics Committee; and Abeena Devanand and Hassan Naima (Year 12) in the Environment Committee. *Most impressive speeches included a first, in my experience of MUN: Aaron Stevens (Year 13) and Nauman Zahid (Year13), in the Politics Committee, both returned to their seats to spontaneous applause, having respectively made funny and intelligent remarks about space law. Overall, this was a fantastic event in which Kingsbury students made a significant contribution and shone in very good company, competing against teams from schools including Tiffin Girls’ School, Lady Eleanor Holles, Latymer Upper School, City of London Freemen’s School, James Allen’s Girls School, King’s College School (Wimbledon), St Benedict’s School, Woldingham School and Queen’s College, London. 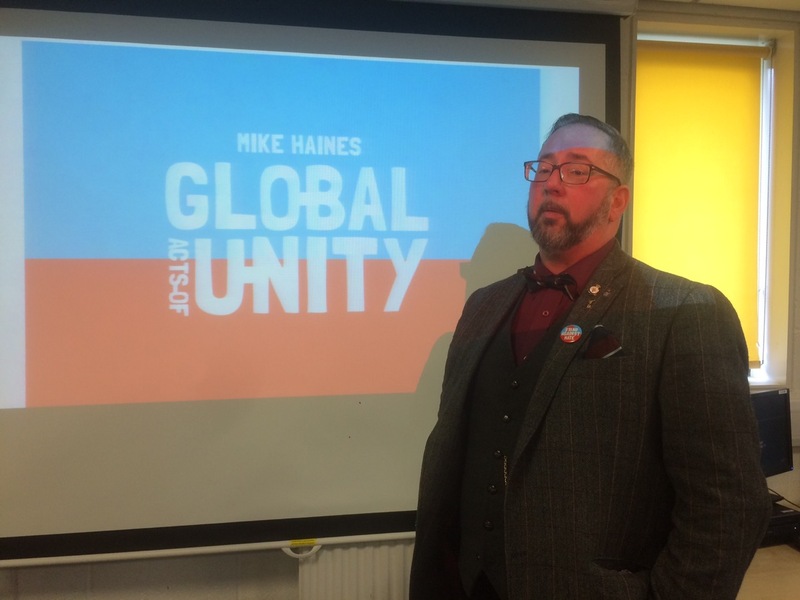 In the Sixth Form Study Room on Friday 9 March, all Year 12 students listened intently to our amazing speaker, Mike B. Haines, who delivered an emotional, heart-felt appeal to students about standing up to hatred. Mike’s session was part of our enrichment programme for the Sixth Form and, on this occasion, addressed the PREVENT agenda in a broad approach which forced us all to consider how hatred is an unhelpful response for humanity to thrive in a spirit of togetherness. Mike’s heroic brother, an aid worker in Syria, was sadly kidnapped by ISIS and was tragically murdered. Since that time, Mike has dedicated himself to speaking all over the UK to help combat hatred in all spheres of life: his message stretching more broadly than just ISIS but also addressing the Far Right. Mr Haines was overwhelmed by our KHS Sixth Formers who listened with huge respect for one hour to Mike’s story and powerful message. Mike commented that, not only was the audience the best he had experienced, but the quality of the questions was certainly the most challenging he had received and he was delighted to answer each one as best he could…though there were no easy answers to some questions! Our thanks to Ms Hollingworth for scheduling this important talk. We all wish Mike well with his campaign and KHS looks forward to welcoming him again next year to speak to our incoming Year 12s. Samiya’s performance in the area heat landed her a place in the district heat.There, her freshly made Alfredo pasta dish was described by one of the distinguished judges as “the best pasta dish” in the competition. Samiya’s passion and commitment to cooking have given her the opportunity to cook in large industrial kitchens as shown in the videos attached and I wish her the best in the future. 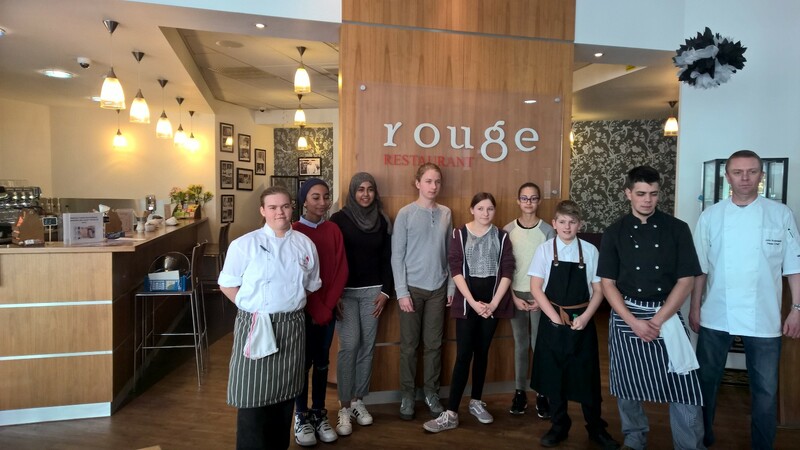 I would like to commend Laura and other students in our school who take on opportunities like cooking competitions to challenge themselves. 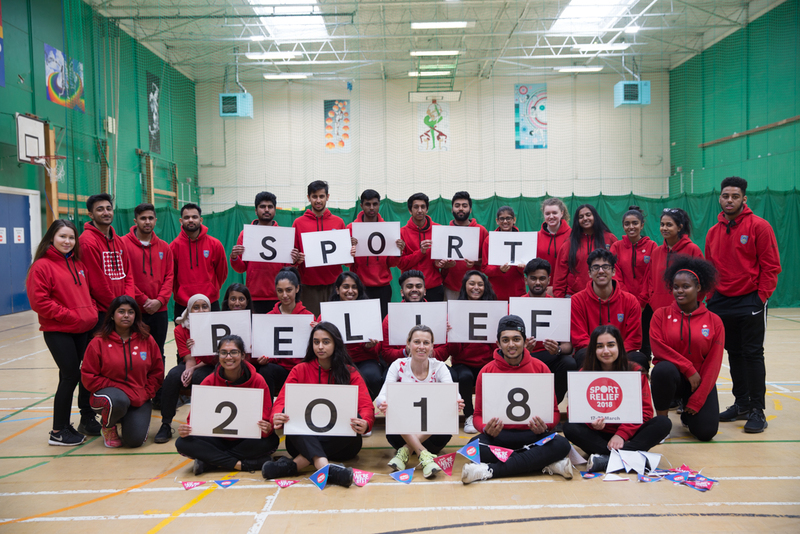 Special thanks to Lucy, Gary, Tamara, Gopi, Jenny, Pravina and members of the PEEL department for their support and hard work with the competitions.The students couldnt have done it without all the support from their parents and carers.